Fresh produce & Nutrition Ed. providing healthy options for a food insecure community. Along the York Road corridor from the city/county line to 39th Street, there are 5 fast food chains, 8 convenience stores, 15 carry-outs (5 of which are liquor stores) -- and 0 (zero!) grocery stores. Our community lacks access to basic produce, and oftentimes the small amount of produce available is not fresh or locally grown. 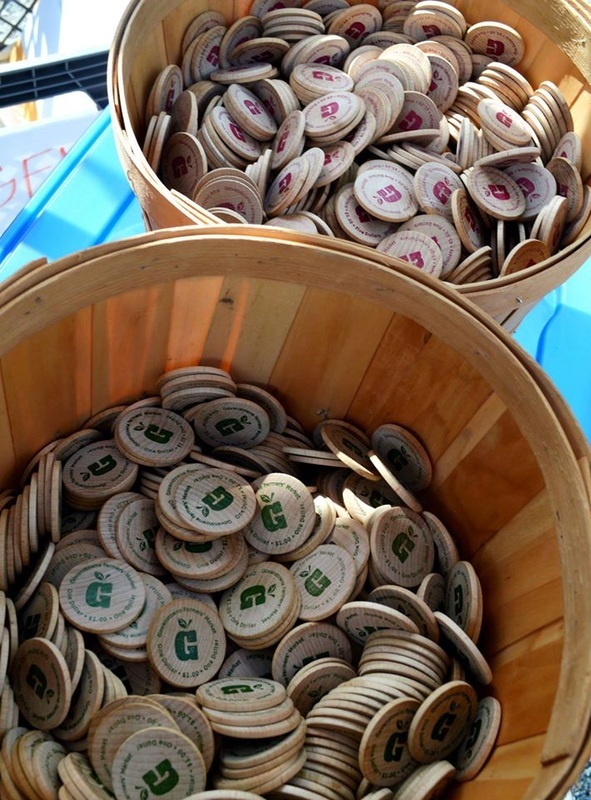 Our market is first and foremost a farmers' market. We work to bring local farmers to our market to provide a variety of options to our local community. 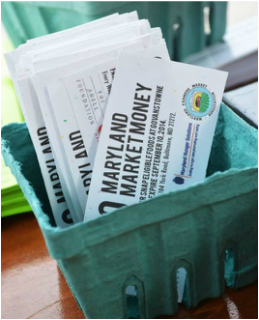 Recognizing the gap in financial means to purchase fresh, local produce, we were one of the first markets in Baltimore to require our eligible vendors to accept SNAP, WIC, and FMNP checks. In our 2016 season, we accepted over $12,000 in supplemental nutrition program dollars, exhibiting both the want and need for nutritious, low cost food options in our community. 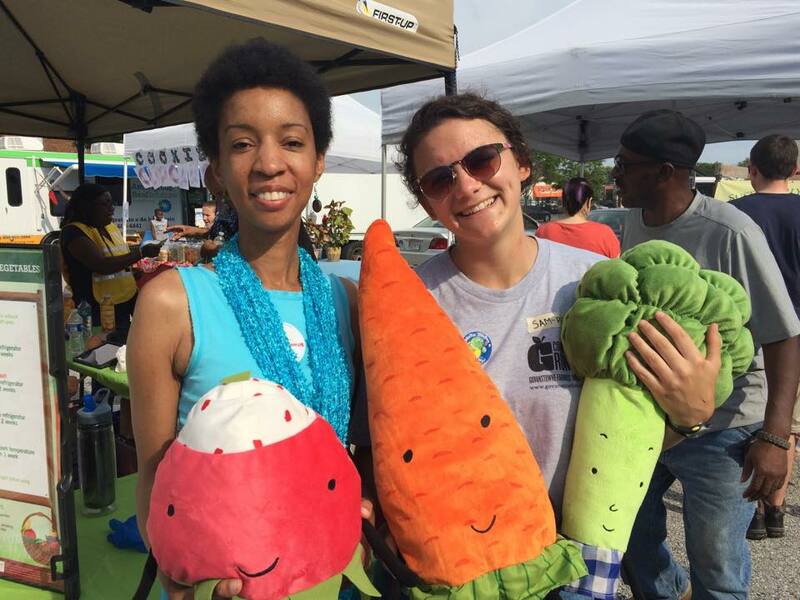 Through a grant from the Maryland Farmers' Market Association, we are able to provide up to 5 free dollars for anyone utilizing $5 worth of state and national supplemental benefits at our market (SNAP, WIC FVC and Senior FMNP/ WIC FMNP) to help with the cost of fresh produce and other whole foods. Customers utilizing SNAP/EBT Cards are eligible to receive up to $10 free extra dollars for fruits and vegetables when spending $10 off their card. This funding is made possible through the International Rescue Committee. CARES Coupons: Through our partnership with our local CARES Food Pantry, we accept orange CARES Coupons at our market. CARES serves the zip code areas of 21210, 21212, 21239, and 21218 from the city line to 33rd Street. To see if you are eligible for assistance, visit CARES at 5502 York Road (behind St. Mary's Church) or call 410-532-2273. Each week at market, we have a table with information about: what produce is in season (a.k.a the lowest cost), how to incorporate it into your diet (budget-friendly recipes), and how to store it to keep it fresh, longer (so you're not wasting your hard earned money). We have volunteers who are passionate about nutrition available to help answer questions and guide you. Here are some recipe ideas from the "Good & Cheap Cookbook" you can make with the items found in each of these stores for less than $4 per day! Shop smart, eat healthy. 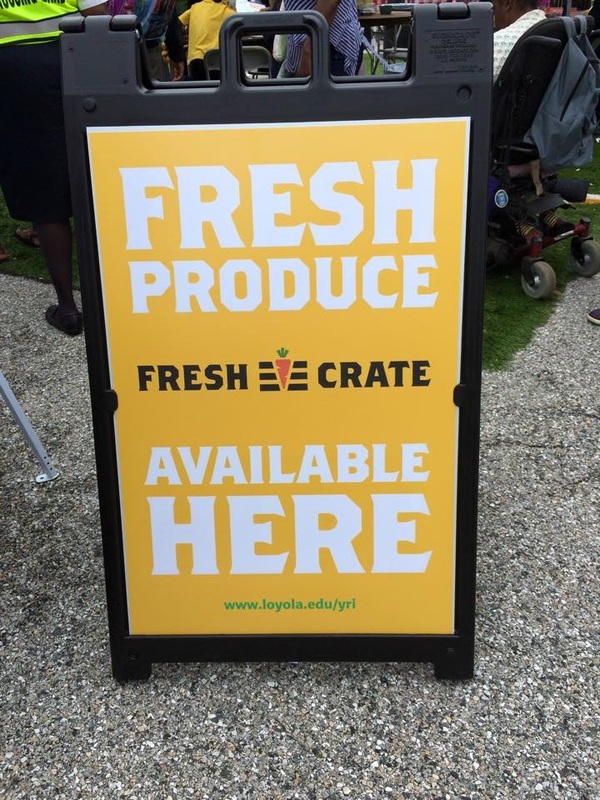 This program is created in partnership with Parkhurst Dining Company at Loyola University and our amazing local business owners! For more information, contact Marie.